Heated political debates are taking place in my social media newsfeed regularly and I constantly struggle with the concept of, “Will my comment or post make a difference?” In the same vein, as a child I made groggers for the Purim Megillah reading to drown out the noise of Haman’s name each time he is mentioned. I am not sure that my comment or post is doing anything but calling attention to a problem that exists in the world, which is something that I see often from friends, followers, and strangers online. Regardless of where you stand on any issue, I think Purim gives us all the opportunity to put our big kid pants on and embrace the fact that we can do our part to make tangible changes in the world. 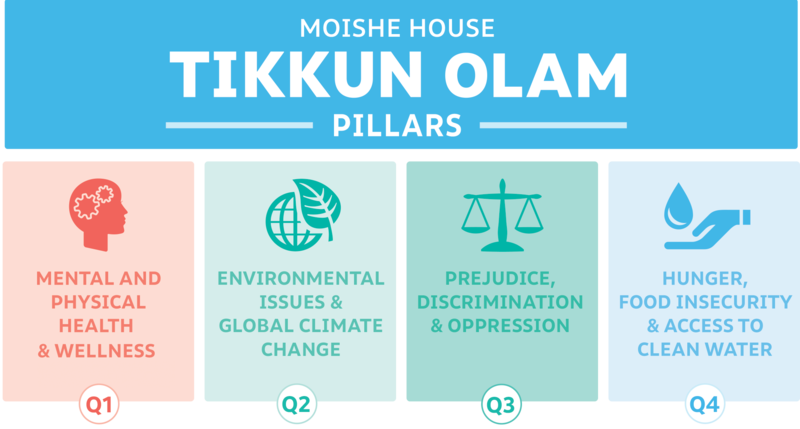 This year, in lieu of groggers, I encourage you to take action and use Purim as an opportunity to make real changes around our 2019 Tikkun Olam Pillars. In my opinion the best part of this pillar is that it is incredibly easy to make all MHWOW programs more environmentally friendly and sustainable. Whether you purchase your food from a local farmer’s market or have participants use source sheets on their phones rather than printing them, there are so many ways to make your chagim celebrations more earth-friendly. If you’re looking to implement changes to your programs or life to go green, I highly recommend checking out Hazon! Hazon is an incredible organization looking to make our Jewish spaces healthier and more sustainable, they have amazing resources online and local staff across North America to support your efforts. In the spirit of environmentalism, this is a picture of Terry, Josh, and me on the farm at the Pearlstone Retreat Center in Reisterstown, MD right before the 2018 MHWOW Elevate retreat. 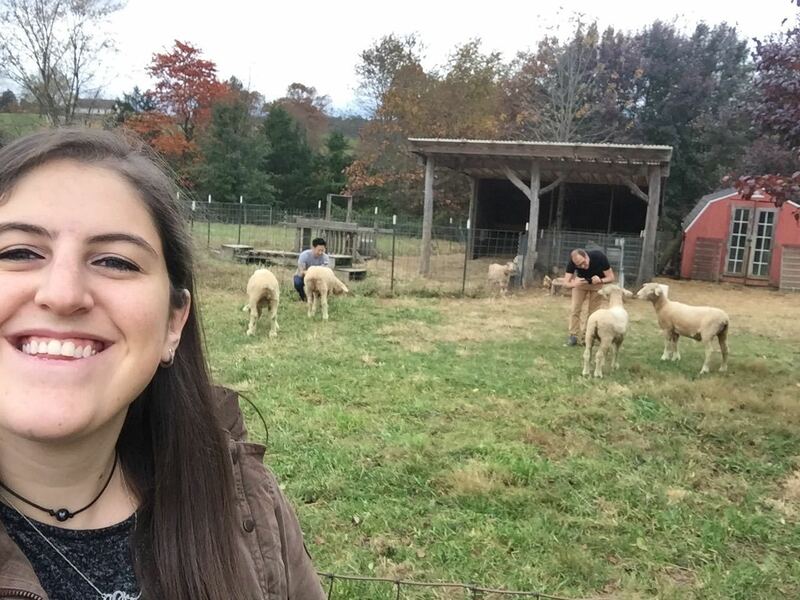 Fun fact: Pearlstone launched a Jewish educational farm and it plays a key role in the sustainability of their programs. How does the Purim story change (protagonist, antagonist, themes) if Esther is the main character? What does Esther’s actions teach us about our own ability to make an impact? Share a time when you stood up for justice despite consequences you could face. Who are other marginalized heroines in the Torah? I love being able to dress up in costume and embrace a new identity during Purim. It was something I embraced as a child and can still have fun with in my adulthood. There is a larger discussion to be had about the fact that the opportunity to wear a costume can mask (every pun intended) our true identities in the same respect that those experiencing difficulties with their mental health do. MHWOW can be the best platform for you to start a conversation with your community about the way we use these facades to cover up our daily trials and tribulations. If your community members are comfortable with the idea, you could have a text study about mental health or hold a “speak out” to create a safe space for your friends to open up about their personal struggles. These are four ways that you can make an impact on your community. The best part about Tikkun Olam is that there are an infinite number of ways to make a positive change on our community and I encourage you to do some self reflection and decide how you can make a difference. If you’re struggling with how to make this an MHWOW program, reach out to your regional administrator and of course after your program happens share your #MoisheMoment. Happy hosting!